The Holidays are creeping up fast and that means pulling out all our tried and true holiday favorites. 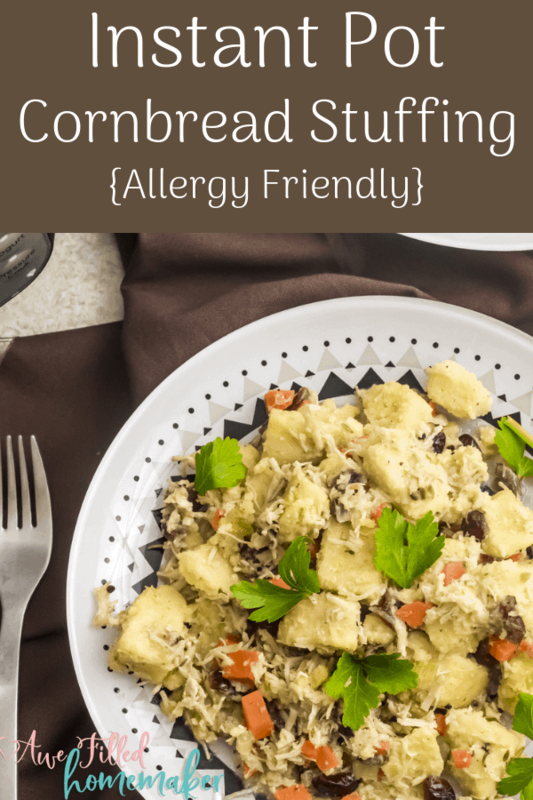 If you are looking for an allergy friendly cornbread recipe to serve, I have the perfect recipe! 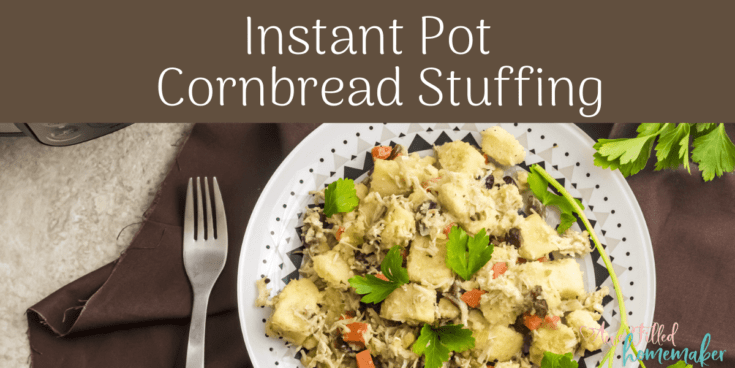 This Instant Pot Cornbread Stuffing allergy friendly is sure to be a hit! Say what?! Allergy friendly?! YES! It is gluten free, nut free, soy free and dairy free! 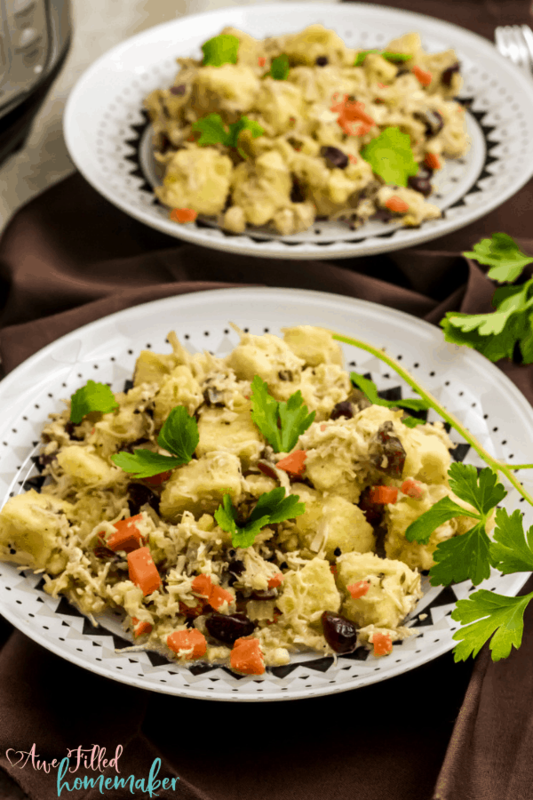 How can something that is a traditional holiday dish be healthy AND taste good? Because it’s homemade and not from a box! If you are vegan, then use vegan butter and milk to make it fit your dietary restrictions. Hearty bread bursting with cornmeal flavor and topped off with a dollop of butter to finish it off. Who could ask for more? Absolutely! I am sharing my instant pot cornbread stuffing, allergy friendly, recipe with a tried and tested high standard taste. Easy to find ingredients, simple to whip up, baked to a golden brown perfection, this is a must make recipe, especially for the holidays! I reach for my Instant Pot for cornbread stuffing because it is simple as can be. I always get that moist cornbread texture that I crave from cornbread stuffing. 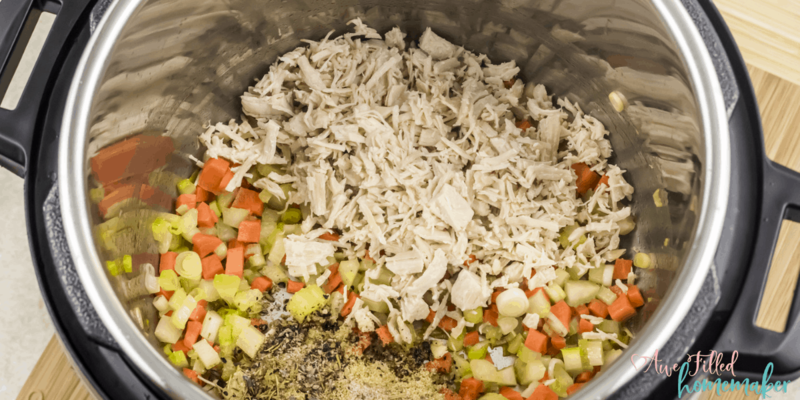 Before using the Instant Pot, I had to develop a perfectly timed stuffing. One minute too long on the stove can go from not quite done to overly done and dry. 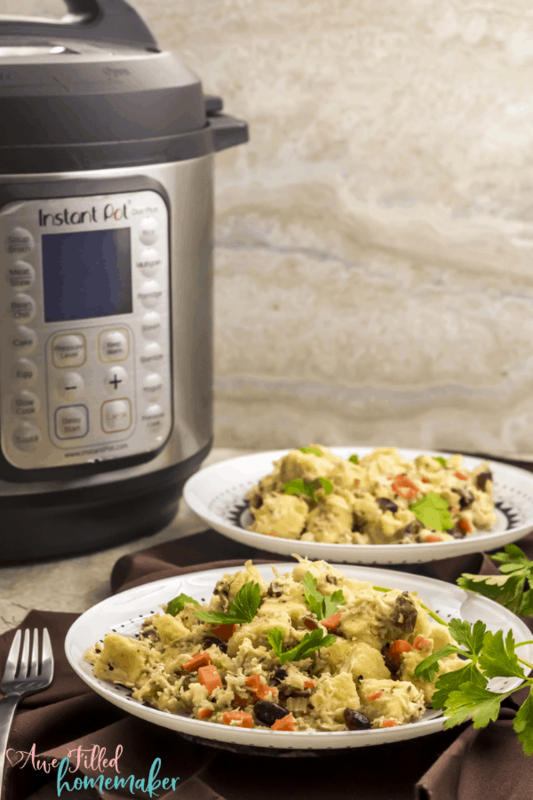 The Instant Pot locks in the moisture and is perfecto! I just love having cornbread stuffing as a unique side at our dinner table. I use this vegan cornbread recipe above to be the base of my stuffing. Cornbread stuffing is so unique and different from a regular stuffing as you get that rich cornmeal flavor throughout. My allergy friendly cornbread stuffing is full of celery, carrots, chicken, scallions, herbs, and even dried cranberries. I crave a savory, hearty, and slightly sweet taste that is unforgettable. You will never want to buy off the local store shelf again. And because this uses a gluten free, soy free, nut free, and vegan cornbread, you don’t have to worry about those hidden allergens! You also won’t feel deprived by the stuffing at your dinner table that isn’t allergy friendly. It’s literally so, so simple! Just one base recipe that can be served as is, or transformed into a herb-filled savory stuffing recipe. No matter how you slice up the cornbread, it will be a winning side dish at your dinner table. Personally, I like mixing cranberry sauce and stuffing together. If you haven’t tried it, you might add it to your list of ways to eat cornbread stuffing! A restricted diet doesn’t have to make you feel like you are missing out. While some stores may not cater to your needs regarding pre-made foods, you can always make homemade. I have found it saves our family money, but also the taste is even better. Give my recipes a try and see how you enjoy this cornbread stuffing recipe. 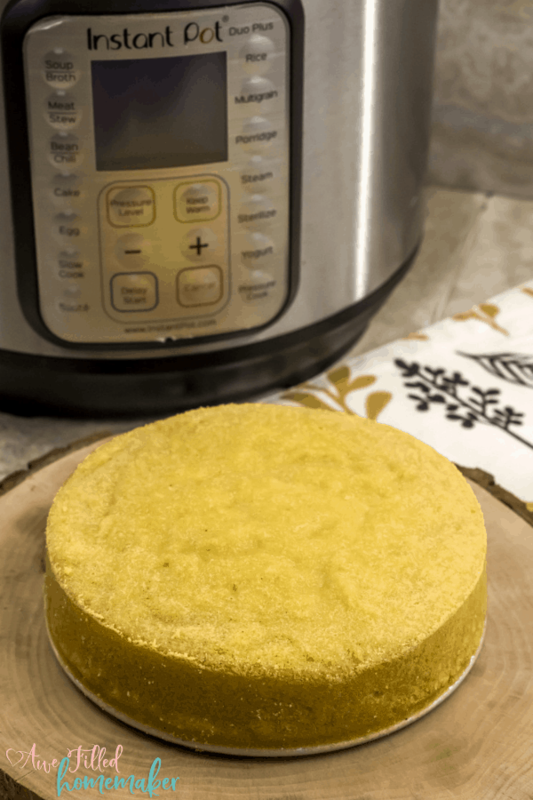 In order to make the stuffing, you first have to start with The Best Instant Pot cornbread. 3 cups of Chicken Stock (make sure it is soy free!) You can also make your own in the IP! 1) Turn the Instant Pot on the ‘Sauté’ mode. 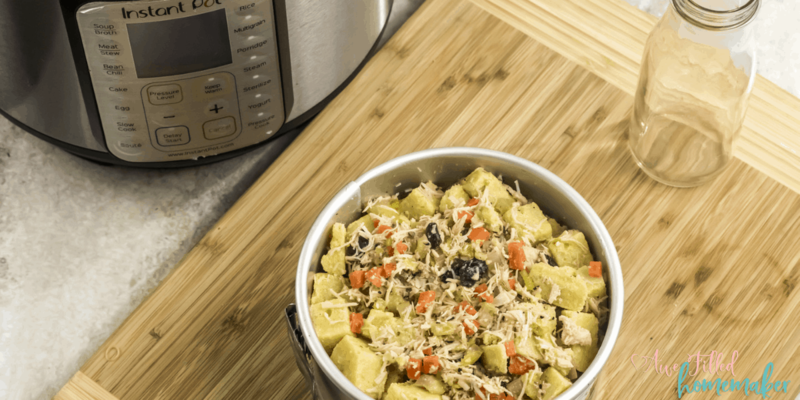 Allow the Instant Pot to heat up for 2 to 3 minutes or until the display shows ‘HOT’. 2) Add the butter. Let it melt for a few seconds and add the chopped spring onions, celery and carrots. Let it sauté for 2 minutes. 3) Next add the shredded chicken, mixed herbs, garlic powder, salt and pepper and let it cook for another 2 to 3 minutes. 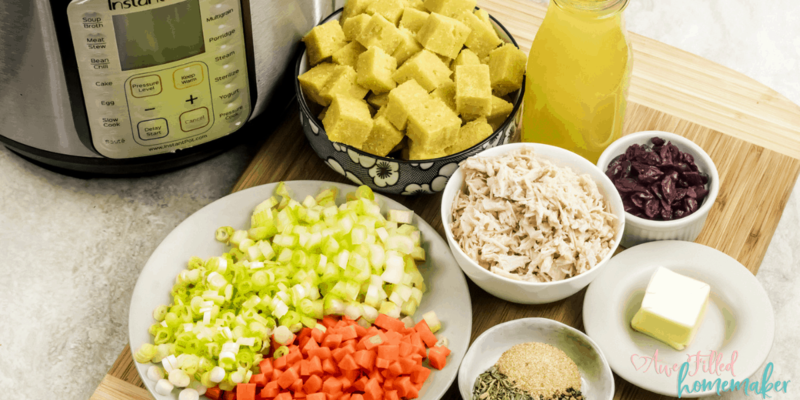 4) In a large bowl, combine the cubed cornbread, cranberries, and the sautéed chicken and veggie mixture. Give it a good mix. 5) Add the chicken broth and let the cornbread soak up the liquid for 5 to 10 minutes. 5) Meanwhile, grease a 7-inch round pan with butter. Also, clean the Instant Pot stainless steel insert where we sautéed the chicken and the vegetables. 7) Add the cornbread-vegetable mix along with any liquid left in the bowl into the prepared round pan and cover tightly with a foil. 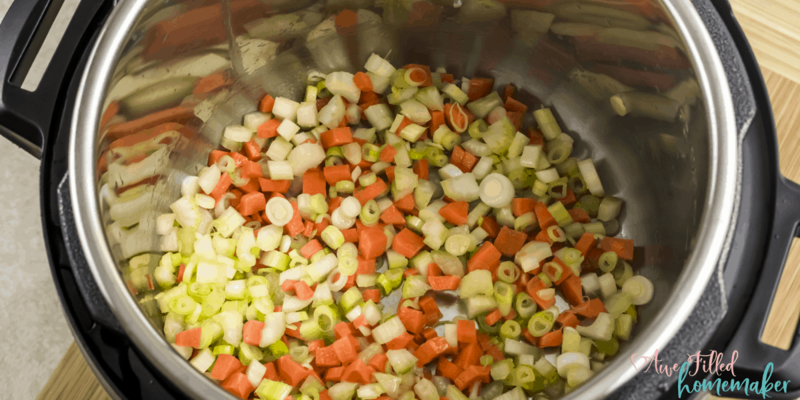 8) Add about 1½ cups of water in the Instant Pot insert. 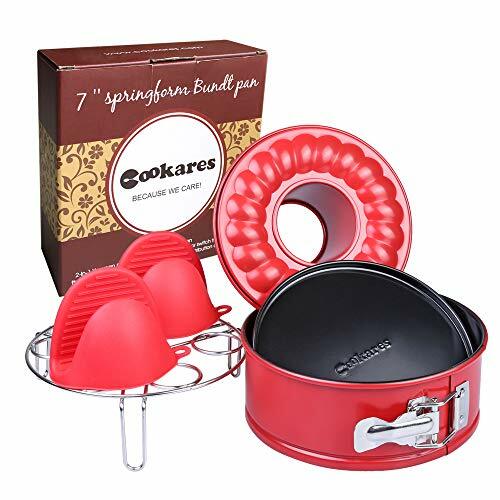 Place the cake pan on the trivet and gently lower it in the Instant Pot. The water should not touch the pan. 9) Select the “Pressure Cook” mode and adjust the time with the “- / +” to 15 minutes. 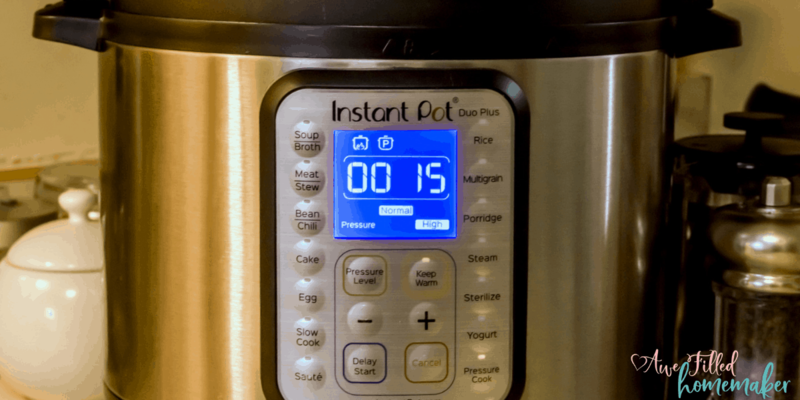 10) When Instant Pot beeps, let the pressure release the natural way for 15 minutes. 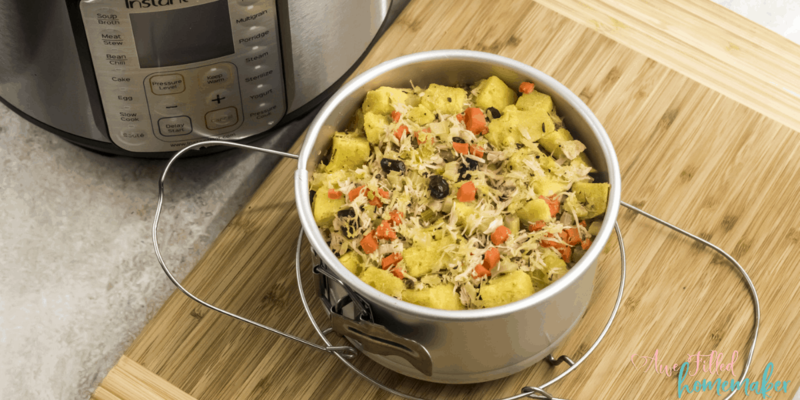 Using the spoon that comes with the Instant Pot, turn the pressure valve to the “Venting” position to perform a quick release. 11) Carefully take out the trivet. Open the foil. Allow the cornbread stuffing to cool for 10 minutes before serving. Serve warm. Now that is a super simple way to create a stuffing that is perfect for the Holidays. 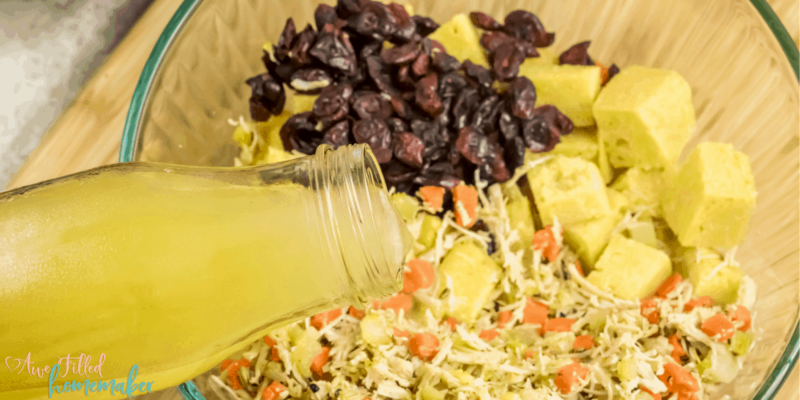 You don’t have to spend hours at the store nor stress about creating an allergy friendly side dish for anyone who is gluten sensitive or has a soy allergy! Eating allergy friendly and healthy doesn’t have to be boring and you don’t have to skip your favorite meals either! 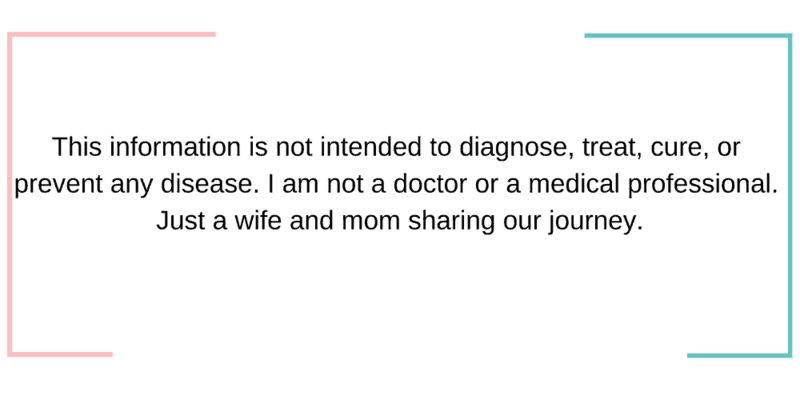 One of the beauties about cooking is almost every recipe can be modified to fit dietary needs. I hope you have a wonderful Thanksgiving and Holiday Season! What is your favorite allergy friendly holiday dish? I would love to hear below! 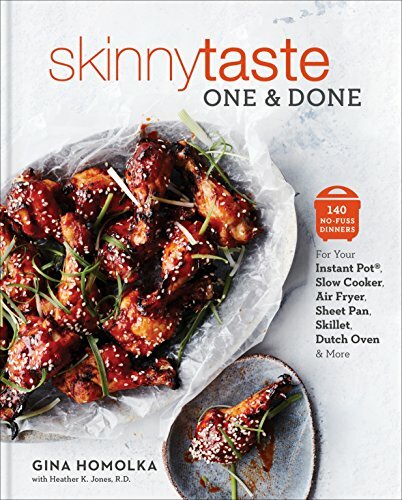 Don’t Forget To Print Out The Recipe Below! Easy to find ingredients, simple to whip up, baked to a golden brown perfection, this is a must make recipe, especially for the holidays! 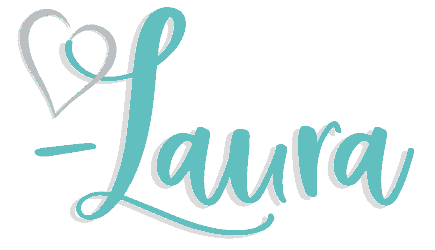 Turn the Instant Pot on the ‘Sauté’ mode. Let the Pot heat up for 2 to 3 minutes or until the display shows ‘HOT’. Add the butter. Let it meld for a few seconds and add the chopped spring onions, celery and carrots. Let it sauté for 2 minutes. Next add the shredded chicken, mixed herbs, garlic powder, salt and pepper and let it cook for another 2 to 3 minutes. 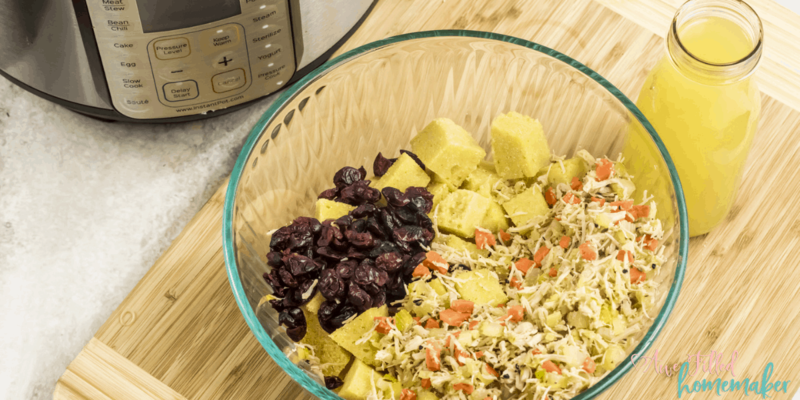 In a large bowl combine the cubed cornbread, cranberries, and the sautéed chicken and veggie mixture. Give it a good mix. Add the chicken broth and let the cornbread soak up the liquid for 5 to 10 minutes. Meanwhile, grease a 7 in round pan with butter. Also clean the Instant pot stainless steel insert where we sautéed the chicken and the vegetables. Add the cornbread-vegetable mix along with any liquid still there in the bowl, in to the prepared round pan and cover tightly with a foil. 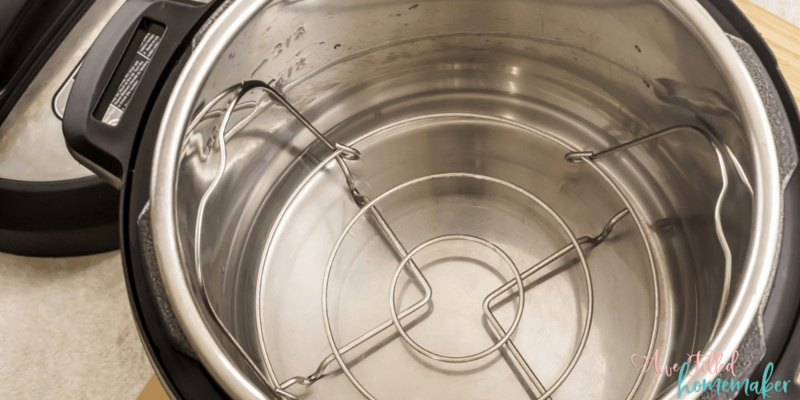 Select the “Pressure Cook” mode and adjust the time, with the “- / +” to 15 minutes. 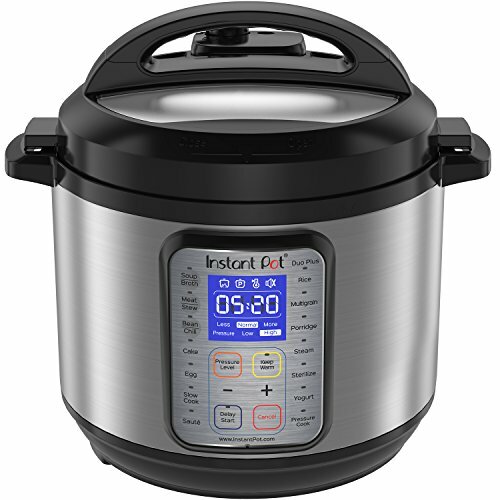 When Instant Pot beeps, let the pressure release the natural way for 15 minutes and then with the spoon that came with the instant pot, turn the pressure valve to the “Venting” position, to do a quick release. Carefully take out the trivet. 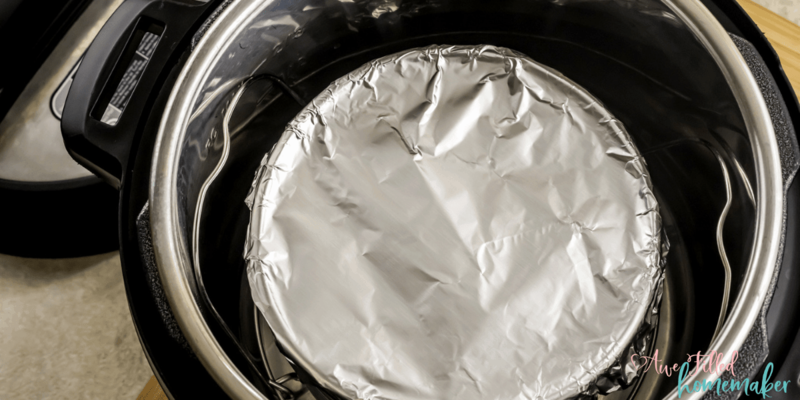 Open the foil. Let the cornbread stuffing cool for 10 minutes before serving. Serve warm.